Explore the tranquility that can be found within the vibrations of sound. 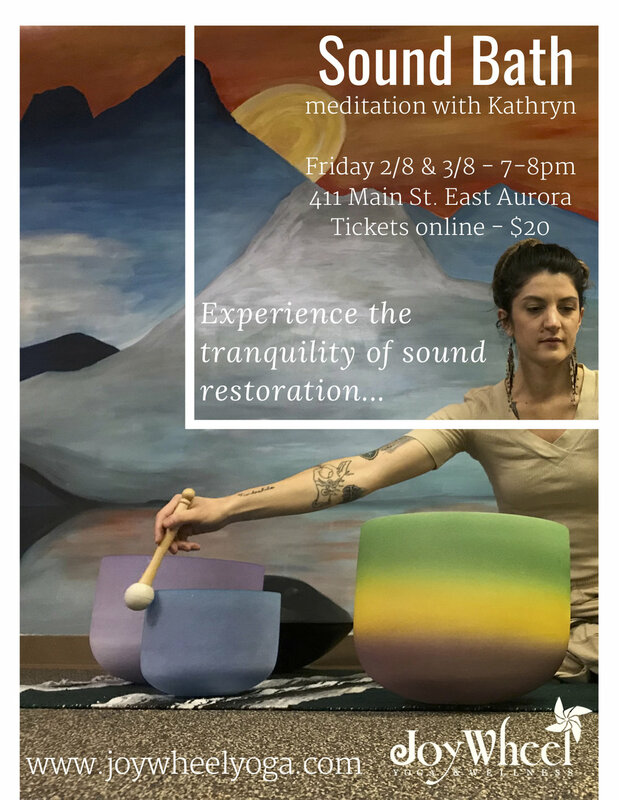 Join Kathryn Gawera as she blends layers of the Hang Drum, Charango, Quartz Singing Bowls, tuning forks and more for a deeply healing, relaxing, and restoring experience. Music has been an integral part of Kathryn’s life since she was a child, when she first began to sense and understand the healing that the sound and vibration of music can bring. Initially, music was a place to lose herself during a difficult upbringing; later, it became a healthy refuge from pain among other, unhealthy refuges. Today, it is not only a method with which she heals herself, but a tool which she uses to heal others. Her own path as a musical healer began simply enough, with the musical opportunities offered at most schools: band, chorus, and performances in musicals. After high school she struggled with other forms of escape such as drugs, alcohol, and abusive relationships. However, music was instrumental in her recovery, which led to her becoming more attuned energetically as a Reiki Practitioner in 2013. She found that the movement of energy she studied in Reiki was affected by music, but didn’t yet fully understand the relationship between the two. She attended massage school in 2015, where she became aware of the power of touch and gained a deeper knowledge of healing, and she began to contemplate where pain and illness begin, and how to heal them on a deeper physical, emotional, and spiritual level. She feels grateful for her ability to combine these healing arts in her professional practice. Music and sound have become an integral piece within her own healing and now, sharing that resonance and restoration with others.